Marissa Mayer, the former vice president of Location and Location Services at Google, has left her position at the search giant to become Yahoo's next president and CEO. 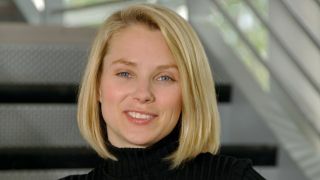 Mayer, who had been at Google since 1999, will begin her role at Yahoo on Tuesday, June 17. The move by Mayer to leave Google for the embattled Yahoo set the tech industry abuzz since the company has gone through CEOs like tissue paper as of late. She'll be their third CEO in less than two years. Yahoo recently removed their last CEO, Scott Thompson, in May for embellishing his qualifications on his resume. His resume listed a computer science degree he did not earn. And, prior to Thompson, Yahoo unceremoniously dismissed Carol Bartz -- Yahoo CEO from 2009 to 2011-- who was reportedly let go over the phone. But, unlike Thompson, Mayer brings a wealth of actual education and experience in the tech field. Mayer has a Bachelor of Science in Symbolic Systems and a master's in computer science, both from Stanford University. And, she began her career at Google as the 20th employee and the company's first female engineer. During her 12 years at Google, she moved up through the ranks to lead improvements in user experience for Google's various products including the home page, search, as well as location services. With her appointment to CEO, Yahoo is banking on her talent to help "enhance Yahoo's product offerings," said Yahoo's co-founder David Filo in a company-issued press release. Fred Amoroso, chairman of Yahoo's board of directors, added: "The Board of Directors unanimously agreed that Marissa's unparalleled track record in technology, design, and product execution makes her the right leader for Yahoo! at this time of enormous opportunity." What's more, Mayer is champing at the bit to get started. "I am honored and delighted to lead Yahoo!, one of the internet's premier destinations for more than 700 million users. I look forward to working with the Company's dedicated employees to bring innovative products, content, and personalized experiences to users and advertisers all around the world," she said in the Yahoo press release. And, Mayer even tweeted that she's "incredibly excited to start my new role at Yahoo." Silicon valley will be watching to see if she maintains her excitement as she tries to right the ship.